The Mahendranagar bench of High Court, Dipayal on Monday issued a mandamus order in the name of four municipalities of Kanchanpur district to pay attention toward the management of stray cattle. It may be noted that a single bench of Pawan Kumar Sharma, judge at high court Dipayal on October 1, 2018 issued an interim order to pay proper attention on the management of stray cattle and animals. The court order had directed the local governments to remove stray cattle from highway, public place, market and temple areas. Rawal in his writ registered on September 30, 2018 named Mayors of Bhimdutta, Bedkot, Shuklaphanta and Krishnapur Municipalities and concerned ward chairpersons of the municipality touching the East-West Highway as defendants. 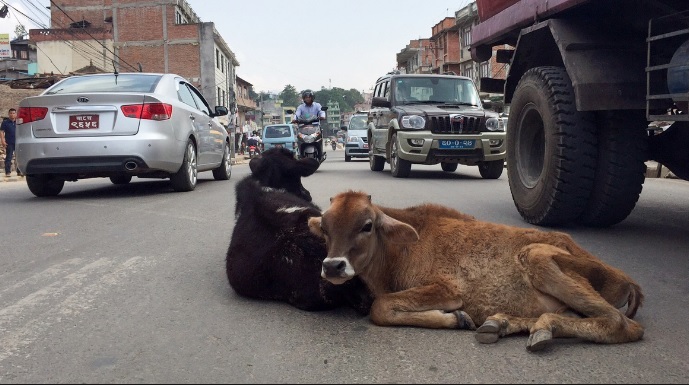 The petitioner claimed that the indifference shown by the municipalities toward the management of stray cattle has violated the Local Government Operation Act 2074 BS and also caused increase in the road accidents.